INpowerministry | Discovery, Development, & Depolying the Gifts to INpower the Community! Discovery, Development, & Depolying the Gifts to INpower the Community! As a pastor and a member of the Christian community, I am greatly distressed by the recent declarations and actions of the current president. Here at Turner Memorial AME Church, we continually aspire to create a space that extends reconciliation, liberation and transformation for all persons no matter their background, which is consistent with our Christian faith. I strongly believe that the deplorable executive orders issued by the president over the past week, in particular the ban on Muslims from traveling into the United States, do not exemplify Christian principles and values. As members of the Christian community, we cannot sit idly by and allow the president to defraud the moralities of our faith or use them to wear down the principles of a democratic society. hands of immigrants. The reality is unless we are of Native American descent; we are all immigrants in this country. Some, like our ancestors were driven from their homeland and forced into slavery, while others came of their own free will; many seeking religious freedom. At various times throughout history, this nation’s leaders systematically denied our constitutional rights and used the Bible to justify their actions. Even now, there are attempts to infringe upon our rights and those of others, and Christianity is once again being used as an instrument of manipulation. Sadly, we have witnessed some prominent pastors endorse and stand with one has admitted to being a molester of women, and has integrated much of his administration policies with racism, white nationalism, fascism, and demagoguery. As believers, we should not stand by and let this happen. When one looks at the birth of Jesus we are clearly reminded that Jesus himself was a refugee. Jesus, a Jew born in Bethlehem under the colonial oppression of Rome, along with his family eventually had to flee to Egypt because of King Herod’s “executive order” to have all male children killed. One of the greatest sermons that Jesus ever preached, the Good Samaritan, should inform our views on immigration. In this short story Jesus challenges us to minister beyond the boundaries of our own self-existence. The “neighbor” in Luke’s parable serves as a metaphorical bridge between identity and difference. A hermeneutics of hospitality commands community where care is offered to this “certain man” who is not characterized by race, religion, or region. So what should be the church’s response to immigration and/or reaching out to those multicultural communities? It is impossible to respond lovingly and prophetically to those communities where persons have come seeking refuge and justice without seeing the value and the worth that is within them. They too, were created by the hands of God and the death of Jesus was an act of love not just for America, but for the entire world. The love of God looks beyond race, stereotypes, and prejudices. In no other arena is the possibility for inclusive community more pregnant than among the churches that make up the body of Christ. The church, to be true to Christ and to our faith, must be a visible sign of the “beloved community.” We must recognize that our immigrant brothers and sisters are in search of meaning, care, and love in the same ways that we are. Your Gift, Your Destiny ! Often times God will speak an “Off-Season” word to you for an unexpected blessing. I believe that is post is just what you need to know, hear and read. Let it bless you! Matthew records in Chapter 2, the “Visitors from the East” who sought out Jesus, “King of the Jews” so that they could worship him. It is important that you know that by the time they started seeking Jesus, scripture records that he was a child. The only personal invite from Heaven came to some lowly shepherds while they were watching their sheep by night. God sent a personal invite to them to go and see the Messiah. When the Wise Men, sought after Jesus it was because they saw a star. And they had to follow the star in order to arrive at the house where Jesus was. Eugene Peterson says in The Message, “They were in the right place! They had arrived at the right time!”(Matthew 2:10). When they arrived in the house and saw Jesus, they immediately fell down and begin to worship. A part of their worship experience was the opening of gifts. They gave 3 significant gifts to the child; gold, frankincense, and myrrh. So you may say, “Ok, Daryl, I know the story. What is the point? What are you trying to say? It is not Christmas, as a matter of fact we just came out of Lent and now in the season of Pentacost.” Well, if you are asking those questions now, I want to let you know that you are at the right web site, at the right time! For the past 6 months at Campbell (the church where I serve as pastor), we have been studying gifts of Spirit, operations of the Spirit, and manifestations of the Spirit. It has been so rewarding for the body of Christ. Many have discovered their God-given purpose and how they fit into the advancement of the Kingdom of God. Why do I feel this important to the body of Christ and have become very passionate about it. Because once people within the body of Christ discover, open up, stir-up their gift. The church will experience explosive growth. You would have reduced burn-out, lessened frustration, and freed the church of the “take my ball and go home mentally.” Why? 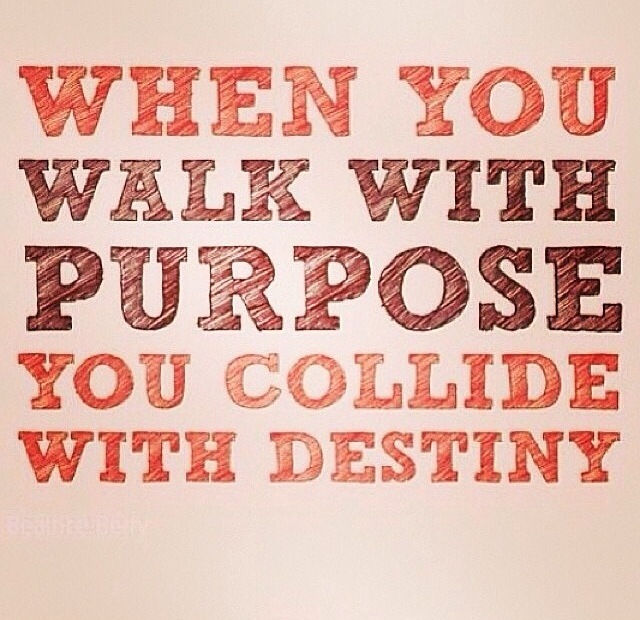 Because when you help people discover their God-given purpose you put them on a collision course with destiny. Now, beloved, that is exciting. Imagine the energy that persons will have when they are working in their calling. I get excited when I think about it. Well, I pray that as I share with you insights that I received from Matthew Chapter 2, it will put you on the right road so that you will have a collision with your destiny. First, we must observe how they found the house where Jesus was. Simple right, they followed the star. Beloved, too many times, we follow co-stars and not the Star. There is only one star in this Christian journey, it is not you and I, it is JESUS. He is the main attraction. I stress the importance of making sure when persons come to the House of Worship they see, feel, and experience THE STAR. We sometimes make the mistake of making people, who are actually co-stars, the star. The purpose of any co-star in a movie and/or television show is to make the STAR look good. Worship is not about you “getting” but it is about you “giving.” We gather to bless the One who blesses. We are on the receiving end Monday-Saturday. When Sunday comes you ought to be a giver and not a getter. The Wise Men did not seek Jesus out to see what they could get, but they wanted to give. Let’s take a look at the 3 gifts they bought to Jesus: Gold, Frankincense, and Myrrh. Beloved, the text reveals that they open their treasures and presented these gifts to the child. When you examine closely the gifts that were given, all three were very valuable and costly; someone could have raised the question, “why would you give a child such expensive gifts?” Gold, I think it is important for us to look at how gold is viewed. Gold is an indication of abundance; gold is extraordinary, priceless, special, uncontaminated, refined, beautiful, indestructible, and does not decay. We surely cannot deny the use of gold in the bible. Gold was used in the building of the Temple, the furnishings in the Temple, and the Ark of the Covenant, to name a few. More so, gold was given to kings. Gold represented royalty. Beloved, they gave gold to a child. Secondly, they gave frankincense. What is the significance of frankincense? Frankincense is a white balm like substances. It is taken from a tree. One would cut through the bark and allow the sap to flow out. Frankincense is highly aromatic when set on fire. It was used in the worship experiences in the temple to set the atmosphere and also represents the spiritual sacrifices going up into the throne room of God. The smoke from frankincense is symbolic of prayers, praise, adoration, and thanksgiving going up to the throne room of God. Then the last and final gift they presented to the child Jesus was myrrh. Myrrh is an expensive spice, and like frankincense, it is used for making perfume, incense, and medicine, but another purpose of myrrh is to anoint the dead. Why gold? Why frankincense? Why myrhh? Why give a child such valuable gifts? The purpose of this post is to encourage someone in the fact that your gift(s) has more to do with where God is taking you than where you are right now. When you examine the gifts, as we did in the previous paragraph, the gifts that the child Jesus received, had more to do with his PURPOSE, than celebrating his birthday. Let’s begin celebrating our PURPOSE-DAY. The day when we discover why we are here. Living a purposeful life is living a powerful life. I am sure you have heard a lot about purpose. When can talk about purpose, but the question is how do we help each other discover their purpose. I would offer this advice to you. Your purpose is tide into your God-given gift. People are wandering purposelessly in life because they do not know their God-given gift. They have gone to school and have learned an array of skills, but have not yet sat at the feet of Jesus to learn their gift. The gifts that the Wise Men gave to the child Jesus were a sign to what Jesus was going to do in the future. Gold was given, because he was going to be King of kings. Frankincense was given because he was going to be our High Priest. Myrhh was given because he would die on the cross for the sins of the whole world. Can I tell you again, your gift(s) is connected with your destiny. I’VE FALLEN AND I DON’T FEEL LIKE GETTING BACK UP! Beloved, I have had to fight with bouts of depression, wanting to give up and throw in the towel. It seemed the more I pray, the more I preach, the more I teach – the more difficult walking in my calling got. Some, if not most of all my bad decisions were made because I was under pressure and ready to give up; church-pressure, peer-pressure, society-pressure, and sometimes even family-pressure. Everyone has this certain expectation as to how you are supposed to be, how you are supposed to act, talk, look, dress, etc. And when you don’t meet their expectations, then you are talked about, humiliated, and cast to the side. Being a pastor is one of the most rewarding but yet challenging professions there is. To me, it is the most important job in the world. Why? It’s because you are equipping people with the necessary, life-giving, life-changing tools that make this life worth living and preparing them for the life to come. It is important because in the final analysis, only the things you do for and in the name of Christ are going to count. Pastors, have coached people into their God-given purpose. More often than not, the people don’t like fulfilling their purpose, because it makes demands of them that they are not comfortable doing. Leaders, Pastors, who are sincere and passionate about the calling upon their life, don’t look at their “job” as a means of just collecting a “check.” But it is a divine mandate that they go and tell the “Pharaohs” in the lives of people, “Let God’s child go!” “I give up!” are not words that the anointed man/woman of God is supposed to say. Giving up only happens to “other” people, but not the one who teaches, preaches, and lives out God’s word. Almost everyone in life at some point has experienced burnout. If I was to attempt to define the term burnout in a very simple way, I would say, exasperated, a strain in coping with the gravities of life, anxiety, and sometimes having panic attacks. I wish that I could wave a wand and make all trouble go away, but that is impossible. Even Jesus said, “In the world you will have trials and tribulation…” (John 16:33). We cannot ignore them, but we can find ways to better cope with them. By no means am I saying this blog will solve burnout and/or depression. I am not speaking as a psychiatrist, but I am speaking as a fellow leader, pastor who like you, am trying to make a difference in someone’s life, and who has had to fight with the spirit of discouragement for most of my ministry. It is real. The one who you thought would serve as your encourager turned out to be the one to discourage you. I have wanted to end my life and not go any further. There are so many within the body of Christ that experience giving up and burnout daily. There are many in the Bible that God used, which experienced discouragement while trying to do what God called them to do. I would like for you to look at the story of one of the world’s greatest prophets, leaders who had to deal with burnout, discouragement. I believe this story gives you, me, and many some coping mechanisms when wanting to throw in the towel. Right after a great victory, Elijah was ready to give up. Elijah was discouraged, and experienced burnout. He actually desires God to take him out of this world, but look at what happened with Elijah that I feel will help you, for it surely helps me. The very first thing happened was REST. I used to pride myself of being a workaholic, however I was doing more harm than good. I never took a vacation for the first 7 years of my pastoral experience. Beloved, you must REST. If God rested after he created the world, what makes you think resting is not a part of the process? There are so many who pride themselves of ALWAYS doing. As if their “busyness” is going to get them an extra star in their crown. I have learned sometimes, when people call to ask, “What are you doing?” I proudly say, “Nothing!” Any professional physical trainer will tell you that your muscles don’t grow in the gym; they grow during your rest periods. Elijah was growing while sleeping under the broom bush. Stop trying to impress others by staying busy. Learn how to rest and never be ashamed of it. The second thing that happened to our brother in this ministry during his moment of burnout was he ATE. My brother, and my sister, you have to eat! Eat right! Feeding your temple with the right kinds of food is crucial in dealing with burnout and discouragement. Yeah, I have heard my fellow colleagues say, “I have not eaten all day…” That is not good. How are you to be used by God to do this work, when you have not fed your body appropriately? Aim for balance. Most days, eat from each food group-grains, protein foods, vegetable and fruit, and dairy. Listen to your body. Eat when you’re hungry. Stop when you feel satisfied. Look for variety. Be adventurous. Choose different foods in each food group. For example, don’t reach for an apple every time you choose a fruit. Eating a variety of foods each day will help you get all the nutrients you need. I practice eating healthier and clean meals than I do processed food. In a normal day, for breakfast, I have steel cut oatmeal, wheat toast with coconut oil (instead of butter), two boiled brown eggs with homemade fresh juice (fruit and veggies in my juicer), or a healthy smoothie. For lunch I eat a heavy meal, still nothing processed. Then for dinner I have a salad or something light but yet filling. When you look at the story, the angel told Elijah at least 3 times to EAT AND THEN REST. That is what I want to encourage you to do, it doesn’t matter if you are a pastor, church leader or not. It is important that while trying to “make a living” don’t forget to LIVE! The last and final instruction that was given to Elijah while he struggled with his bout of depression was to go to “The Mountain of God”, because he was going to experience the presence and voice of God. The question that God asked Elijah was a soul searching question, “What are you doing here?” I believe God was not talking about his physical location as much as his mental location. Why have you stopped and parked your mind, your spirit on “Unbelief Boulevard.”, “Hopeless Court”, “Doubt Street”, and “Give-up Avenue?” God asked that question to get Elijah back on the right road, going in the right direction mentally. Once Elijah answered the question, and Elijah was totally honest with God, “God I don’t feel like I can make it.” God told him to get up; I am about to pass by. Pastor, Leader, GET UP, God is about to pass by. God knows where you are. God knows what you are dealing with. God wants to refresh you; God wants to restore the joy of being called by Him. God wants to revive you, but you have muster up the strength and the faith to GET UP! 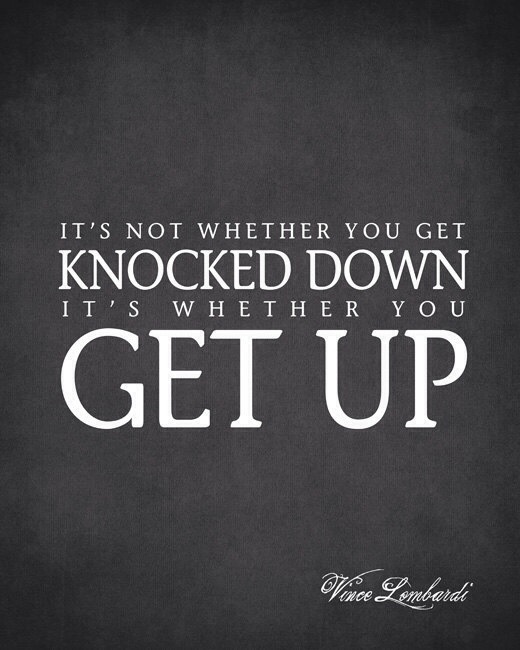 Don’t stay down, GET UP! Yes, you, you can GET UP! DO YOU KNOW HOW TO FIGHT? I have had a few major challenges in my life, one of which took place while I was a Junior at Morris Brown College. This crisis was major. One that I will never forget, because it taught me so much; it awarded me three valuable lessons about God, me and people. Yes, Beloved, every crisis that arises in your life should teach you three lessons: 1. God, 2. Yourself and 3. People. It seemed as if someone pulled the ground I was walking on right from under my feet. What made this crisis deadly was the fact that though it manifested externally, it was killing me internally. I was dying from the inside out. I felt alone, I felt abandoned, I felt like giving up, I felt like not living. Those who I thought were my “do or die” friends acted as if they did not even know me anymore. I was in the fight of my life and at that time, I was losing. The world is unprincipled. It’s dog-eat-dog out there! The world doesn’t fight fair. But we don’t live or fight our battles that way—never have and never will. The tools of our trade aren’t for marketing or manipulation, but they are for demolishing that entire massively corrupt culture. We use our powerful God-tools for smashing warped philosophies, tearing down barriers erected against the truth of God, fitting every loose thought and emotion and impulse into the structure of life shaped by Christ. Our tools are ready at hand for clearing the ground of every obstruction and building lives of obedience into maturity (2nd Corinthians 10:3-6, The Message). This war, we are in, is not a war of flesh and blood. It is a spiritual war. That is what so many of us miss, is that before things happen in the natural, it first takes place in the spiritual. You find yourself, like I was at one point in my life, waddling in defeat when you try to fight a spiritual battle with natural weapons. You will lose every time when you use your own knowledge, your own logic, and your own strategy when fighting with principalities and powers in high places. I hope I am not the first to tell you, but the Devil is stronger than you, BUT he is not stronger than the one that is within you, nor is he stronger than the weapons that you have to fight with. 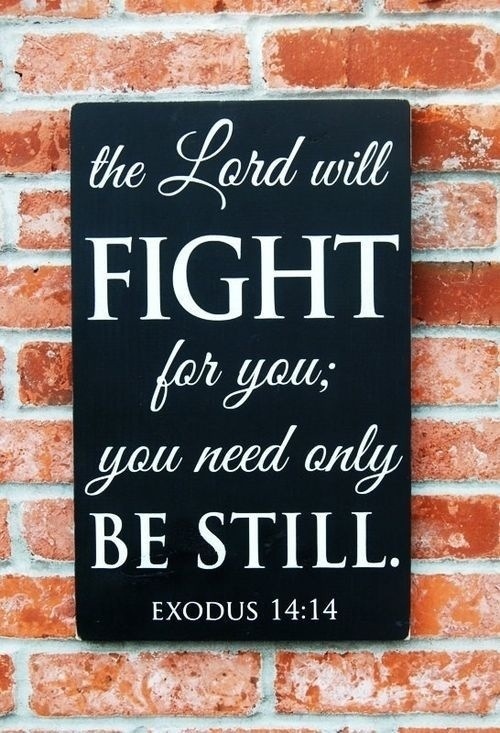 God did not intend for his children to get beat up constantly, continually, day after day. God has equipped us with the tools and resources to fight back. The problem is we do not use them. When we are in the midst of our struggle, and/or conflict, all we think, focus and talk about is the pain and not the praise. You are not fighting to obtain the victory; you are fighting to hold on to your victory, because the fight for victory has already been won by Jesus. Don’t you ever let go of your hope, your victory, your love, your joy, your salvation, your praise; because when you let go of all those things, you put Jesus right back on the cross again. So, you may ask “what weapons do I have to fight with?” Good question. I want to conclude this blog by answering that question. The last and final weapon that John shared with us from Revelation is our TESTIMONY. When we think about testimony we think about our lives; the way we lead our lives and how God has helped us live successful Christian lives. But as I was meditating a little more about it, the Lord led me to Isaiah 64:6: “all our righteous acts are like filthy rags.” That means we will never be able to live totally holy for Christ without God’s mercy. All of what we do, or try to do is filthy rags, good for nothing. Therefore the testimony to fight the devil is not our lives. But what Jesus has done for our lives. In other words the stones in which the 10 commandments were written by the hand of God; in God’s own hand writing. God is the Author of your life, he has already inscribed with his own hands, your life of love, joy, peace, patience, kindness, goodness, faithfulness, gentleness, self-control and victory. Don’t allow the enemy to take your weapons from you. This is the fight of your life. We sometimes determine victory but what’s going on around us or not going on around us, but God determines victory by what’s going on inside of us. Victory is an attitude; you must believe in yourself. The Children of Israel did not obtain the promise of God because they saw themselves as grasshoppers. The enemy did not say a negative word to them; it was in their own minds where they felt they were already defeated. You are NOT defeated; the enemy is a defeated foe. Use your weapons of the BLOOD (your salvation), and the TESTIMONY (what Christ has said and done for you) of Jesus Christ, apply it to the schemes of the devil and stand still and watch your deliverance, healing and breakthrough come. FIGHT! There are a lot of things we say each year we are going to stop doing, and there are things that we say we are going to start doing. Stop smoking, stop cussing, stop eating too much, etc. Then we say to ourselves, I am going to start praying more, reading the Bible, eating right, etc. May I recommend that we stop recycling our past? We have made mistakes in the past, as individuals. Yet there is a blessed assurance because each day we wake up, it is another day to get it right. It is a new day, a new beginning. You may want and wish for the “good old days”. You may revert to living in the past, thusly, recreating it —don’t keep dwelling on the past. Forget the past, because God has moved on and has greater things for us. We may be overwhelmed because of what has happened and unsure of what the future holds because of what has happened in the past. God says to turn your back on it. Don’t dwell on it. Don’t let it annihilate your future. Don’t let it run and ruin your life; because God is doing something greater. God is going to do something great, something new, something you’ve never expected. God cannot give you NEW manna, if you are still trying to hold on to old manna. In spite of all that has happened in your past, Beloved, you are special to God. There are so many who have been paddling against the negative waves in life. We begin to become comfortable in the opposition and start to believe that this is all there is to life, the names we are called, the way we are either being ignored or denigrated because of our convictions and beliefs and even the decisions that we make. Beloved, you can get to a point where you feel there is no hope. We don’t expect tomorrow to be any better or worse, any different than today. Have you been there? We have all made bad decisions about what we said, where we went, what we did. Show me a person besides Jesus Christ who has never made a mistake or a wrong decision and I will show you a person who has never grown and lacks maturity. Beloved, our imperfections are seeds of growth. Mistakes, errors, bad decisions are all the byproducts of growth and learning. I would venture to say that God already knew the mistakes you were going to make, that is why the bank of Grace and Mercy will never go bankrupt. What is essential is not the mistake and/or bad decision, the key is if you learned and if you have grown. Beloved, don’t allow your past to dictate your present-future. We all mess up. We all have said or done things we later wish we could take back. 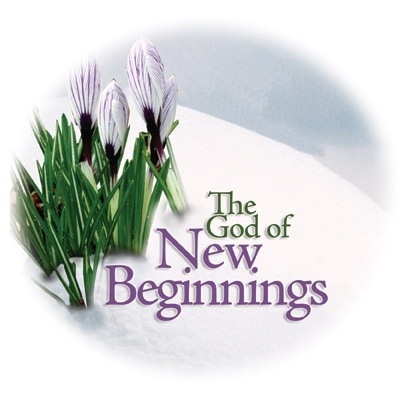 The breaking news that needs to be shared with each other is that WE SERVE A GOD OF NEW BEGINNINGS! I’m not saying that I have this all together, that I have it made. But I am well on my way, reaching out for Christ, who has so wondrously reached out for me. Friends, don’t get me wrong: By no means do I count myself an expert in all of this, but I’ve got my eye on the goal, where God is beckoning us onward—to Jesus. I’m off and running and I’m not turning back. So let’s keep focused on that goal, those of us who want everything God has for us. If any of you have something else in mind, something less than total commitment, God will clear your blurred vision—you’ll see it yet! Now that we’re on the right track, let’s stay on it. The temptation to give up, to simply quit before you attain the goal, or to turn back is real. It raises its negative head at every disappointment, every kiss of betrayal, and every sad circumstance. Beloved, never become so absorbed in what the past or present situation that we forget that there is a new day, which brings a new beginning. Your latter will be greater than your former. I just want to encourage you to never get stranded in your past; don’t allow people to keep you there. The God you serve has better for you! Speak it, Believe it, Expect it and Receive it. Lord, I come to You in the midst of chaos, confusion and in pain; violence has taken place again in our nation. Particularly, our Nation”s Capital. We are in need of healing; of Your gentle touch, Your tender voice and compassionate heart, Help us to transform our pain into new life, and life more abundantly. Give us the strength and courage to live life vigorously and not to take for granted each day that you allow us to see. For times are filled with swift transitions; but yet we are going to hold to your unchanging hand. Turn our despair into hope, our hate into love and our anger into joy. For weeping my endure for a moment, but joy is on the way. Let us seek to be reconciled with our loved ones, family, friends, co-workers and yes even our enemies. Help us to forgive, as You forgave. Help us to love our enemies and pray for those who have persecuted us. Bring justice and peace to the lives of those who have decided to take life and death into their hands; failing to realize that it’s you Lord who gives, and it is you Lord who takes away. Let us see Your face and feel the warmth of Your love in the midst of this tragedy. Lord we pray for Your mercy and compassion, We live in troubled times, so many troubled people. Breath upon us your spirit with power to strengthen our resolve to root out the violence, hate, and fear in our neighborhoods. Replace it with Your forbearance and love. Create in us hearts of courage, grace us with the ability to stand against the violence of our day: the violence in ourselves, our homes, streets and communities. 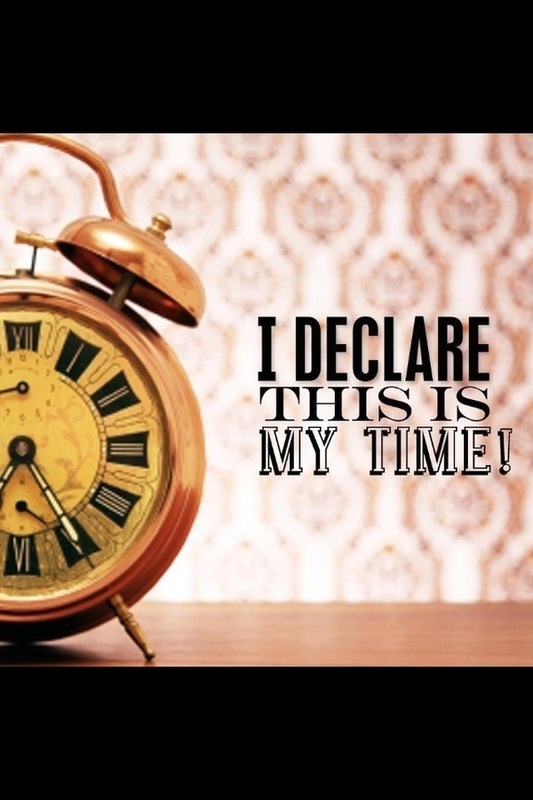 In the strong name of Jesus, we declare it, we decree it! Amen. One of the biggest tricks of the enemy is distractions. The enemy has already seen your potential and your future, he/she cannot do anything about it; the enemy can’t change it, nor can he/she move it. However, if the enemy can get us distracted in such a way that we cannot see it, we will not go after it. The message that God wanted me to share with you through this post is to STAY FOCUSED! The Word teaches us that, “without vision my people perish.” So true, but I would like to say that without FOCUS your vision will never come to pass to save the people. While having vision could be a “life or death situation”, being focused can be a “do or die” situation. If you are not focused, you will die with a vision that will never be actualized. Norman Cousins who lived from June 24, 1915 to November 30, 1990, was an American political journalist, author, professor and world peace advocate. He is quoted as saying, “The tragedy of life is not death, but what we let die inside of us while we live.” God has birthed in you greatness, potential, opportunities that far succeeds any human expectation. The Spirit is a supernatural conduit for birthing. Whenever God’s spirit is involved, expect something greater to be birthed. I have been wearing corrective lenses since I was in middle school. I could always see, I had vision, but what I was looking at was blurred. I knew something was before me, but I could not make out what it was. Thus, I had to visit an optometrist to have my eyes checked for corrective lenses. The optometrist had to bring my vision into focus. Many today wear glasses, contacts, or have had Laser Eye Surgery to correct impaired vision. Now they can see BETTER! People are spending millions and millions of dollars to improve their physical vision. They are spending money on technologically-advanced eye exams, better frames, lenses, contacts, and now, Laser Eye Surgery. But yet they don’t see their life any BETTER. They still see defeat, doom and destruction. God wants you to see BETTER, but you must allow the Spirit to bring your eyes into focus. God wants you to see what he sees. But the only way that is done is when and if you allow him to touch your eyes, not once but twice; for the first touch is for vision, but the second touch is for FOCUS. When the children of Israel were led out of captivity towards the Promised Land, Moses sent spies into the land. They saw the promises with their own eyes; it was within their sight—their vision. Yet, when we read Numbers, chapter 13 their focus was tainted. Instead of focusing on what God promised, they focused on the foe. In verse 27 they reported, “The land flows with milk and honey…”; however, in verse 28, there is this conjunction, “BUT”. The spies began to focus more on the enemy than on the promise. And here lies the growing edge of some within the Kingdom of God, we have a vision, but we are focused on the enemy rather than the promises. We focus too much on our haters, and not enough on the Lover of our soul. If you want to shift your atmosphere, you must shift your focus. You cannot see things of the kingdom, the things that God has in store for you with earthly glasses. You must look through the lenses of God. I want to see what God sees in me and for me. How are your eyes? 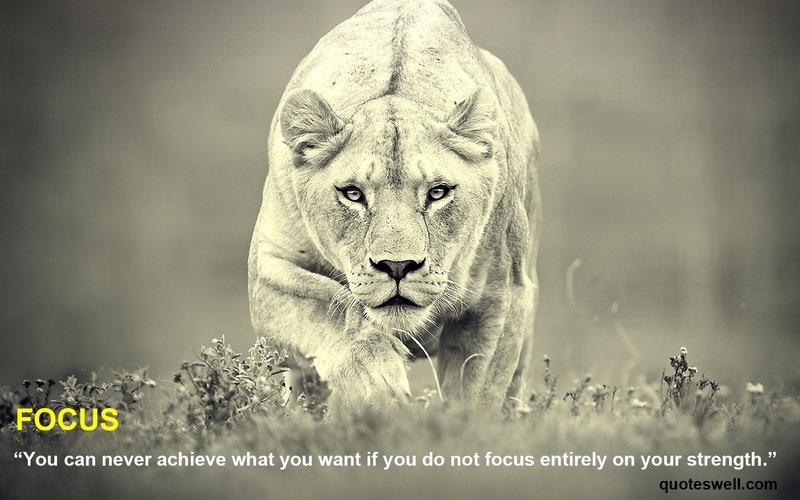 How is your focus? Is it dim, hazy, far-sighted or near-sighted? Do you have color blindness or tunnel vision? Do you want your eyes to be opened? The first touch from Jesus will give you vision, but sometimes we need a second touch to give us FOCUS. I pray that God will open our eyes and give us focus. Your focus determines your reality. You are what you SEE. See yourself better. See yourself living better, eating better, loving better, enjoying life better, singing better, and working better. Who is holding Your Pruning Shears? In my last blog, I spoke about the need to understand the different seasons of life that you will ultimately find yourself experiencing. Biblically speaking, there are two seasons—“seed time” and “harvest time”. In this INpowering™ blog, I want to impart in you a challenging but necessary process that growing individuals must experience—the pruning process. According to E. P. Christopher, author of The Pruning Manual (1954), R. L. Hudson, author of The Pruning Handbook (1973), and C. Brickell, author of Pruning (1979), the process of pruning is described as follows: “Pruning is a horticultural practice of cutting away an unwanted, unnecessary, or undesirable plant part, used most often on trees, shrubs, hedges, and woody vines. We use pruning to remove diseased or injured parts of the plant, to influence vertical or lateral growth for various reasons, and to increase flowering or fruit yield. Another way to define it is cutting away superfluous or undesirable branches.” The practice of pruning requires targeted removal of damaged, dead, or non-productive tissue from the plant. It must be properly pruned and nurtured in order for it to produce high-quality fruit. The pruning process is essential for keeping the plant healthy and in a condition to produce a crop of ample proportions. In the first seventeen verses of the fifteenth chapter of the gospel of John, Jesus teaches us how to be fruitful. In the Kingdom of God, success is not judged by your bank account, the home you live in or by the automobile that you drive. Success in the kingdom is based on being fruitful. In order to grow fruit you must plant the seeds during the appropriate time so that when the season for harvesting comes, you will have fruit on the tree. You cannot have fruit if you don’t plant and you cannot be MORE fruitful if you don’t endure the pruning process. It’s nice that you have fruit on your tree, celebrate that; however, Beloved, let me INpower™ you with the knowledge that God has MORE for you! That’s right, my brother and my sister, “MORE” is looking for you! Stop settling; stop being pacified by what is “good” and begin setting your mind on achieving EXCELLENCE! Remember when Paul said, “I will show you the most excellent way” (I Corinthians 12:31)? Beloved, we often times find ourselves severely challenged when we have to make a choice between what is good and what is better. We have no problems choosing between good and bad; however, when we are faced with the obstacle of having to select something that is better, we tend to settle for what is easiest to attain. We must allow God to prune the unproductive and fruitless areas of our lives, in an effort to prepare us for greater. Take inventory of your life. Are you bogged down by lifeless friends, negative thoughts and unnecessary possessions? Or perhaps you are traveling on a dead-end path, lending your efforts to an ineffective lifestyle, or maybe even feel trapped by a hopeless future. By allowing God’s pruning process to take place, we open ourselves up for the possibility to flourish and bear more fruit for the Kingdom of God. And that, Beloved, is success! We will not only add to the Kingdom in capacity but also in excellence! Sometimes blessings are masqueraded as painful experiences. God uses those phases as a season of pruning. Isaiah noted that it was in the midst of death that he saw the Lord high and lifted (Isaiah 6). I understand that he was merely noting the time of his calling; however, I think it is quite significant that it took place during the same time that he was grieving the loss of a beloved king. Yes, one king died but he saw a GREATER King that was high and lifted. God has a purpose for us, and ultimately, His purpose is designed to produce the best possible fruit from His vineyard. Not only does God want the best from you; God wants to give you the best, as well! Have a blessed assurance, Beloved, that when the pruning knife from our Heavenly Father comes upon your life it comes with a purpose. You and I may not always understand what that reason is but since it is God who is the Farmer, God asks that we trust Him. The important aspect about pruning is not the knife itself, but the One who holds it. What am I saying? Make sure it’s God who is doing the pruning and not anyone else. Don’t allow other people or things to cut into your God-ordained purpose. Know who you are and whose you are, and don’t settle for anything less than God’s best! Nothing happens without God’s authorization. God is working to make us more like Christ. He is working to remove from us those things that do not help us fulfill our purpose in life. God is removing from us what we do not need. He is removing from us what hinders our growth and development. Allow me to share with you the absolute most important aspect of the gospel of John 15:1-8. It is found in verses four through seven and it is repeated in each verse. 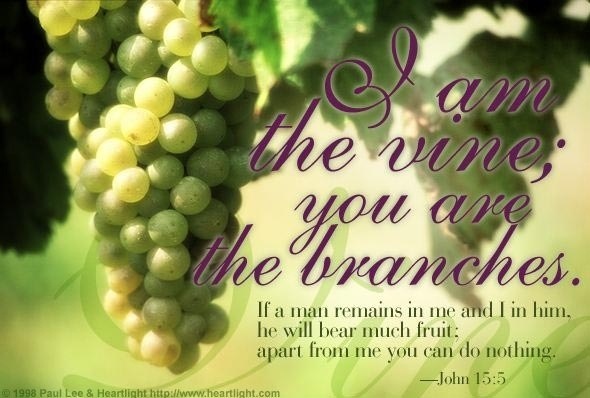 It conveys to us how we can handle the pruning seasons of our lives like champions! “Remain in me….” That’s it! Did you really get it? (Read it again). Jesus says we must remain connected to Him. Not only is having a relationship with Jesus important, however, having constant fellowship with Jesus is vital. It is critical for us to spend quality time with Jesus in order to produce because apart from him, we can do nothing. We achieve our closeness with God through daily worship, which includes prayer, and studying the Word. I admonish you to learn to seek God’s face, and not just God’s hands in your efforts to receive from God. The greatest joy comes from knowing that every day with Jesus is sweeter than the day before. Your connection with God continues to get better and stronger with each passing day. I pray that whatever The Lord is doing in this season, that He doesn’t do it without you! In Jesus name, Amen. “Live, Laugh, Love & Lead” became my mantra for life almost 3 years ago, after going through a very tough season. I found myself in a battle–one that was more internal than external. Beloved, I tell you, you truly have not fought a real battle until you war with those that are within the confines of your own mind and spirit. Those battles are hardest to fight because most of the time, you are warring within yourself. During that season of my life I felt like giving up on everything and everyone, including God and the ministry that God placed inside of me. It seemed that everywhere I turned, there were issues, problems and pain. I did not feel like going to church; I did not feel like praying; I did not feel like being around myself, much less people. It felt like everyone was against me and I felt like I wasn’t going to make it. At any given moment, I was ready to call it quits. To make matters worse, God spoke to me only once, and never said anything else during that timeframe. That season lasted 1,051,920 minutes, 17,532 hours, 730 days, yet God spoke only once!!! Through all of that, it wasn’t until 2010, after hanging out in my own “pigpen”, that I came to myself, and said, GET UP! God has not only promised life, but He promised an abundant life. It was at that very moment that I began to reevaluate my life. I’ve discovered two ways I could live in abundance, knowing every day is a non-refundable, precious gift from God. The first way to live in abundance is to seize the day. One of the great patriarchs of the Old Testament, King David, sets an awesome example of how to seize the day. In Psalm 142:1- 4, we find King David held up in a cave, hiding from Saul, running for his life. He was frightened, battered, exasperated and defeated. But in verses 5 – 6 David starts to praise God. What happened? Saul didn’t concede. The cave didn’t turn into a luminous palace. The only thing that transformed was David’s attitude! If you’re waiting for all of your bills to be paid, everything in your life to be perfect, everyone who doesn’t like you to favor you, or a better job, YOU WON’T EVER BE HAPPY!!! 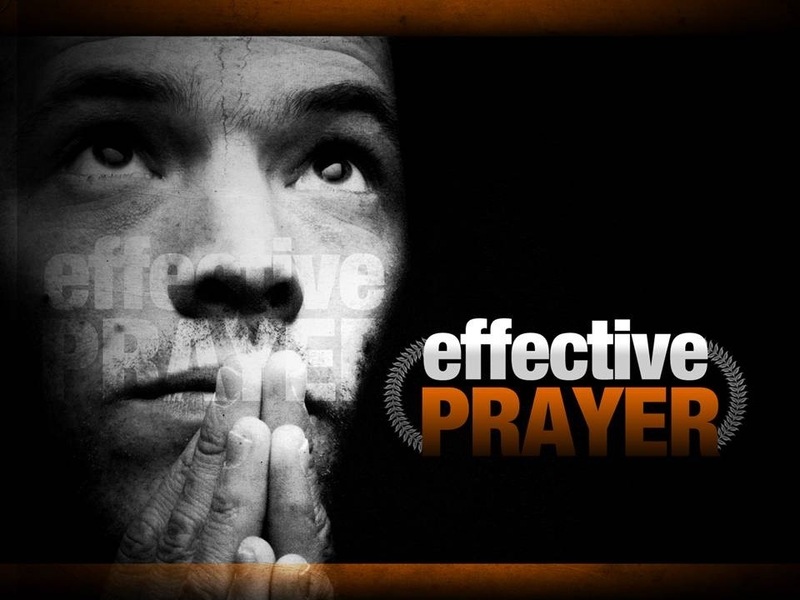 David’s prayers didn’t modify his situation for him, his prayers revolutionized him for his situation. When you allow people and problems to determine your happiness, you are giving too much power to external forces that impact your internal peace. The final way that I learned to live everyday in abundance is to serve the Lord. If Jesus is not your Lord, then who is? And how long are we supposed to serve Him? Every day until the last day! When are we supposed to start? NOW! It is never too late. Beloved, today is the day that the Lord has made! I admonish you on this day to LIVE in abundance every second of this day! LAUGH all day long! LOVE every hour that you have left! This day will never come again, so let us not waste it. Beloved, LIVE, LAUGH, LOVE, and LEAD! A soda bottle reads: “No Deposit, No Return.” If you don’t go to the trouble of bringing it back, you don’t get anything back. That’s life!!! The only way you get something out of life is when you bring your life back to where you got it from–to God! God is the giver of life, but not just life, ABUNDANT LIFE! Take what you have been given and give it back to the One who gave it. No deposit, no return! Put your life in God’s hands and “LIVE, LAUGH, LOVE & LEAD”! God is Moving you into a New Level, a New Dimension, and a New Season. Every aspect of our lives is as to a season and there is a purpose for those seasons. The events of your life are not accidental. There are seasons you didn’t want to go through but through those seasons you’ve learned valuable lessons. There are seasons you’ve gone through that you don’t know why you had to endure, however, in the midst of that season, you’ve asked yourself, will I ever get out of this? Beloved, I, as your brother in Christ can testify, I have gone through some of these seasons where I have asked all of the above and then some. I have cried. I have screamed. I have hit rock bottom not knowing if I was going to make it, and if I made it if I would still have my right mind. Just because you are going through or have gone through a rough season doesn’t mean God is finished with you because “He who has begun a good work in you will complete it until the day of Jesus Christ” (Philippians 1:6). In nature, seeds are planted, seeds grow, seeds fulfill their purpose and seeds die. Winter and spring are seasons of preparation. Plants that have died during the previous season decay and help replenish nourishment for the soil. Even death has a purpose in nature. Even in seasons of death, growth and development takes place. There are some things in our lives that must die in order for you to reach that level of growth that God has predestined you to obtain. Remember, when Isaiah was called into the ministry (Isaiah 6)? I think it is significant that the death of King Uzziah took place and immediately afterwards, Isaiah “saw the Lord high and lifted up” (Isaiah 6:1). The point that I want to make is that, Isaiah saw greatness during a season of death. Think about it, in order to have life in Christ we must put to death the flesh. Then as the late winter and early spring comes the soil is plowed and made ready. Seeds are planted, cultivated and flourished. In summer and fall, crops mature and are gathered. Beloved, get your buckets ready, prepare your barns, because God is getting ready to open the windows of Heaven and pour into your cup blessings that will overflow to the point you will have to drink from the saucer. In Genesis 8:22. The scripture reads…”While the earth remaineth, seedtime and harvest (seasons) and cold and heat, and summer and winter, and day and night shall not cease.” This scripture also gives us a basic description of seasons. We can surmise from this scripture that seasons, biblically, are divided into two categories… seasons of seedtime (preparation) and seasons of harvest (reaping from what has been sewn during the season of seedtime). One of the challenges on this walk is discovering which season you are in. Often we are trying to reap when it is time to plant. Then we try to plant when it’s time to reap. During seedtime it is challenging to plant seeds when the ground is dry and when the ground is hard. The work becomes difficult– your hands sometimes will bleed, your backs gets sore, your arms and shoulders may ache and to top it all off you become thirsty. Furthermore, you can’t expect to reap if you have not planted. But you know what is so great about the season of labor, what is so awesome to experience? THE RAIN! Rain will break up tough ground. There are some tough situations you have been in– maybe you’re in one right now or getting ready to walk in one. Guess what? Even during that time God has a way that is mighty sweet. He will send RAIN. Whether you are in your season of preparation or your season of harvest– IT’S YOUR TIME! Each of those seasons is an opportunity for great blessings. It is important that you have the same amount of joy during your season of planting as you do your season of reaping. Knowing that God is preparing you for something prodigious is just as exciting as receiving the abundance. Don’t you give up now Beloved! Don’t relent. IT’S YOUR TIME. “So let’s not allow ourselves to get fatigued doing good things. At the right time we will harvest a good crop if we don’t give up or quit” (Galatians 6:9). I know from experience it will feel like you’re so dry and empty and your mind is saying “this is ridiculous” and the devil is telling you it’s not worth it. The devil is telling you it’s over, it’s dead, and it’s never going to happen. Those dreams, visions and prophecies are never going to come to pass. You’re never going to start that ministry. You’re never going to write that book. You’re never going to see your children saved. You’re never going to birth that business idea. You’re never going to get out of debt. I want to speak to your spirit like Elijah said to Ahab: “Up on your feet! Eat and drink- celebrate! Rain is on the way, I hear it coming” (I Kings 18:41). That’s right, God is getting ready to shift your season. You’re getting ready to tap into a renewed anointing and a brand new source of the glory and the power of God and you’re going to be elevated with a new boldness and a new faith and determination. You’re going to go into the enemy’s camp and you’re going to take back everything he robbed from you. I pray and speak into your life a drought-breaking anointing.